If you are searching for lighting of any kind, visit the 4,200 sq. 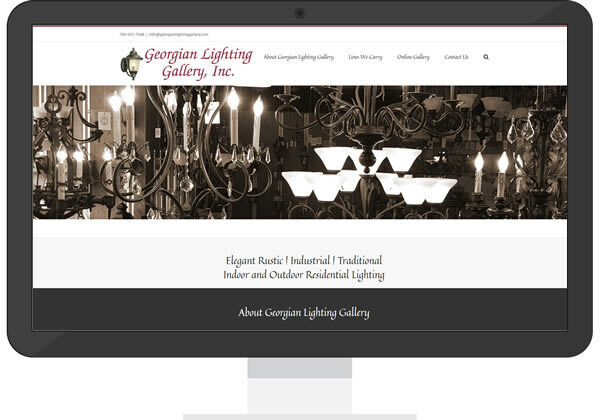 foot lighting showroom with Georgian Lighting Gallery in Jasper, Georgia! This family owned business (since 1974) was looking for a small but professional (and mobile friendly) website to use as the hub for their online marketing efforts. We provided a long format, one page parallax scrollable format including some of the company and management history/information, a visual inventory gallery, lines carried and a contact form for inquiries.